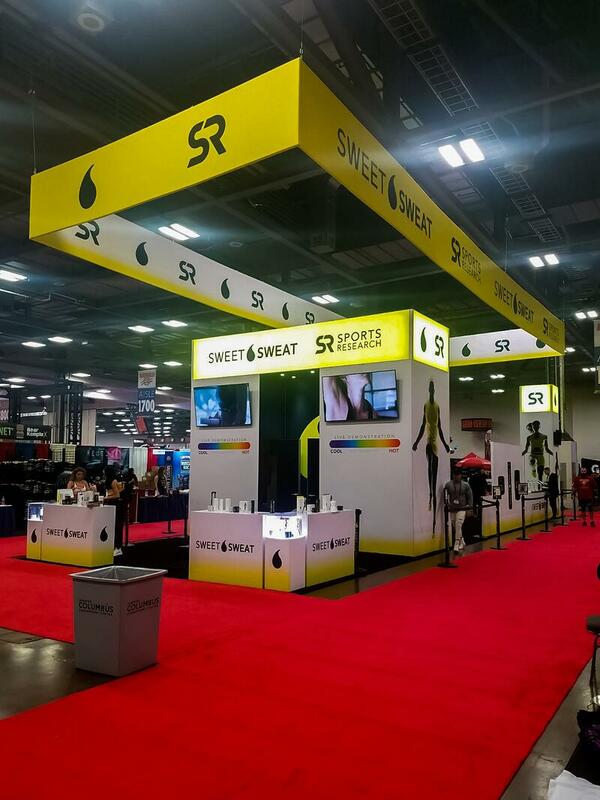 Sports Research had a numerous requirements for their new exhibit. A workout area to highlight how their product works. A TV to show the core temperature of the demonstrator as well as videos. iPad stands for attendees to order product. A bar to serve their new line for drinks. A selfie station and storage for the massive amount of product they take to the show. 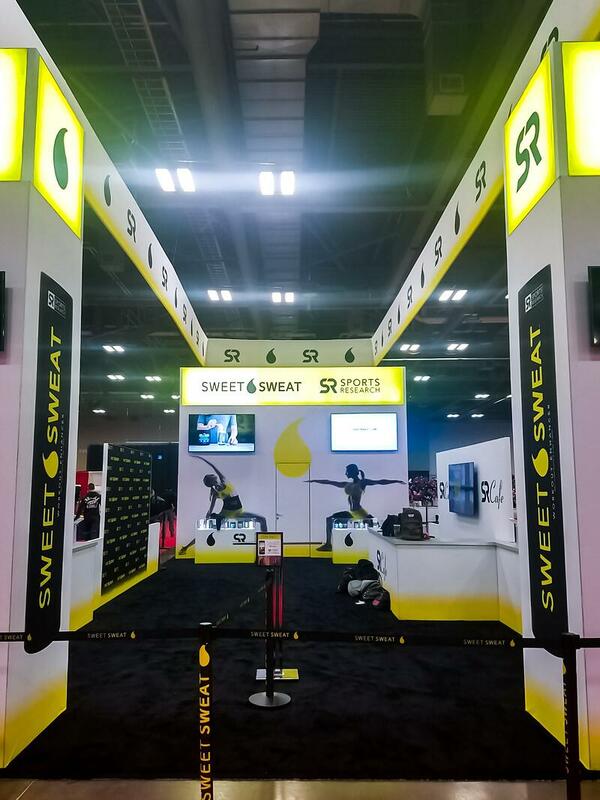 With all of the client needs we had to incorporate into the design, we also had to be mindful of the Sweet Sweat brand. We wanted to add in the eye-catching lightboxes as well as the 20x60 double sided hanging sign. 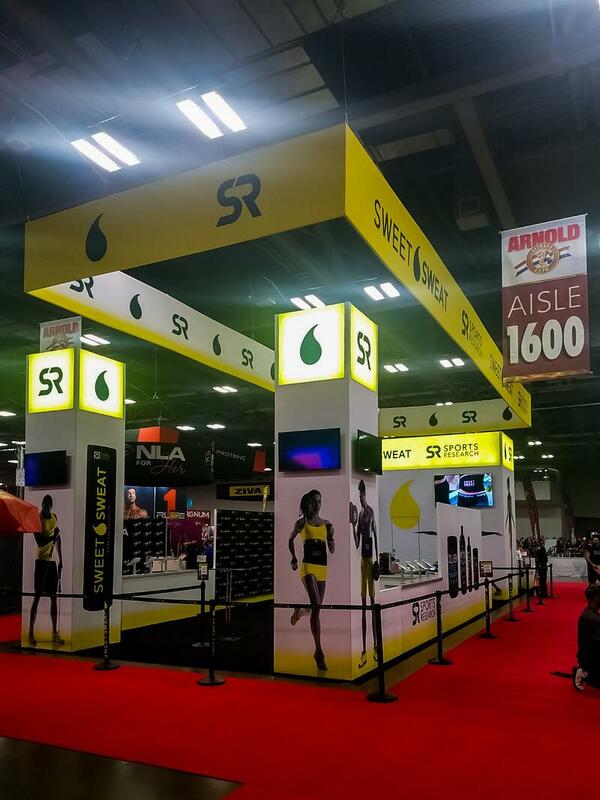 The entire exhibit is wrapped in SEG fabric graphics. The white and gradient yellow graphics pop with the product images.